A Bitcoin ATM (automatic teller machine) is a kiosk that allows the exchange of Bitcoin or Alts for cash. Some Bitcoin ATMs also allow selling Bitcoins. Bitcoin ATMs are not ATMs in the traditional sense, they do not connect to any bank account but directly to a Bitcoin exchange, for the price quotes. You scan the QR code of your Bitcoin address. You feed bank notes into the machine. You click Send and wait for the Bitcoin to appear on your wallet address. 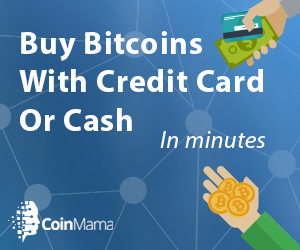 Using a Bitcoin ATM is without doubt a very easy way to buy bitcoins, but not the cheapest one. The average ATM charges a fee of 5-10%. that is the price of privacy since most don’t require verification. CoinATMRadar, a website that compares more then 3500 ATMs worldwide. The ATMs on CoinATMRadar are displaid on a map, Each one with its own features. Read the full review.